In the weeks leading to the People Power Revolution of 2001, a peaceful protest that overthrew a corrupt presidency and exposed the frailties of Philippine government, economist and former finance secretary Jesus Estanislao gathered reform-minded influencers from different disciplines to form the Institute for Solidarity in Asia (ISA). Together, its founding members sought a return to values and meaningful civic participation, and envisioned a nation led by strong and upright democratic institutions. Recognizing governance as key to bringing about long wanted breakthroughs and transformations, ISA took on many significant projects in its early years, including serving as Secretariat of the National Governance Advisory Council, authoring and monitoring the Code of Good Governance for Professions, and setting up the Centres for Leadership in East Asia Network or CLEAN. Today, ISA is emerging as the country’s foremost authority on transforming the public sector for good. We work with handpicked national agencies and local governments to create strategies that yield big reforms and result in better public service, more private enterprises and investments, and new opportunities to raise household incomes. Through all these, we stay true to the aspirations of “people power”, involving as many Filipinos as we can in building our Dream Philippines where every government institution delivers and every citizen prospers. 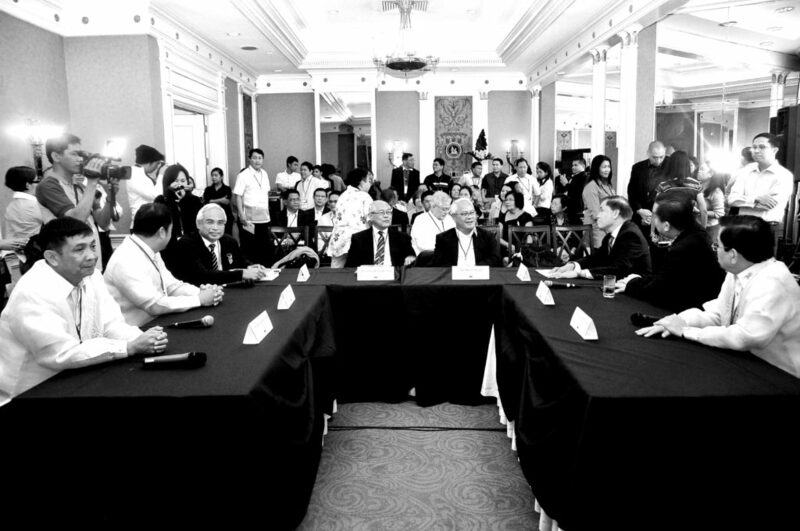 In the final months of a corrupt presidency, economist Jesus Estanislao forms the Institute for Solidarity in Asia (ISA) together with reform-minded friends from different disciplines. They begin to offer values education to local governments and build coalitions with various sectors (youth, professions, and business) while looking for solutions leading to lasting reforms in government. 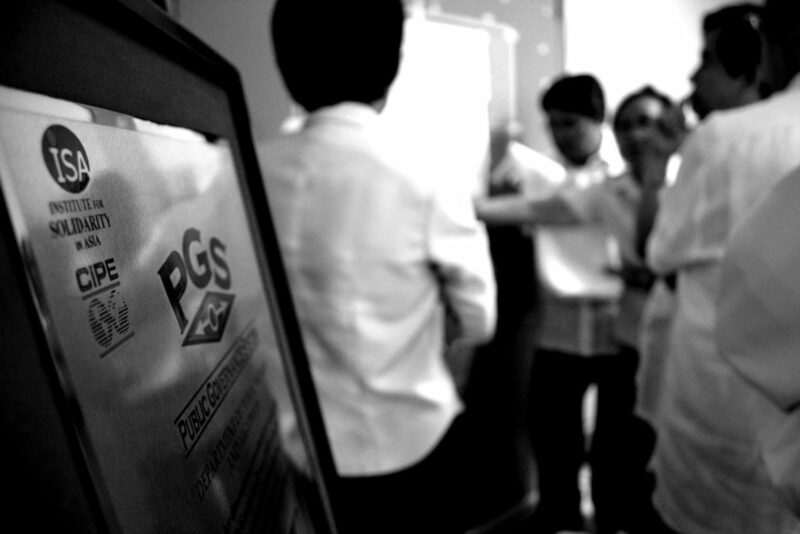 With grants from the Center for International Private Enterprise (CIPE) and the Asia Foundation, ISA launches the Performance Governance System (PGS), its flagship governance reform program. Within a year, eight local governments are declared ‘Dream Cities’ and asked to report on their new governance reform strategies in ISA’s first public forum. 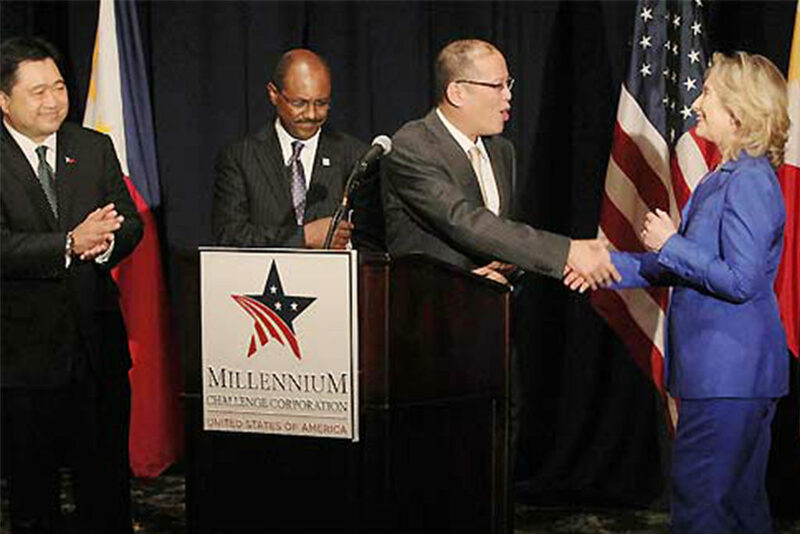 The Philippines’ national tax, education, health, transport and communication, infrastructure, and police departments are asked to work with ISA to improve governance issues under the US-funded Millennium Challenge Compact (MCC). ISA’s work is featured as a case study on ‘democracy that delivers’ in global public sector forums held in Seoul, Jakarta, and Washington D.C.
ISA’s successful assistance of several national agencies and local governments in considered a priority initiative toward policy reform. The National Competitiveness Council (NCC) forms a public-private led task force dedicated to advancing ISA’s goals, alongside initiatives like the Ease of Doing Business Index and Cities and Municipalities Competitiveness Index. NCC becomes the official co-convenor of the Public Governance Forum. 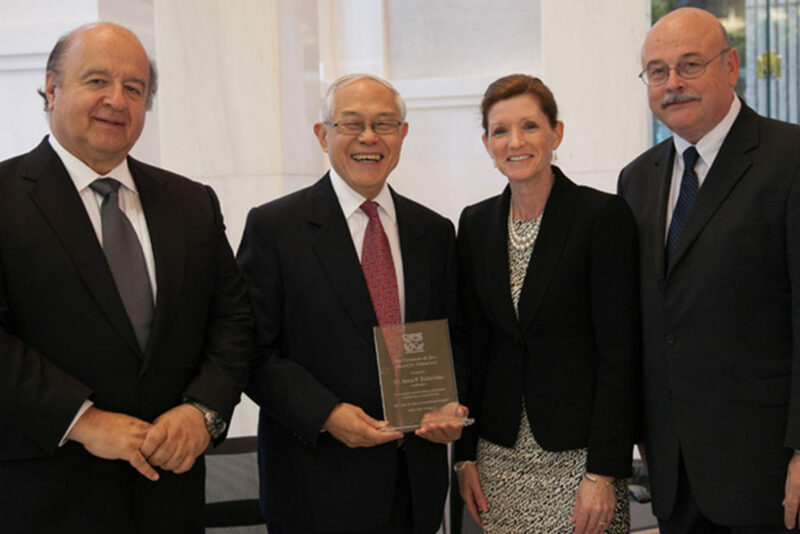 CIPE recognizes ISA founder Jesus Estanislao through the Hernando de Soto Award, which celebrates his lifelong contributions to democracy and economic freedom, and honors his leadership in guiding the Philippines through the early years of its transition from martial law. 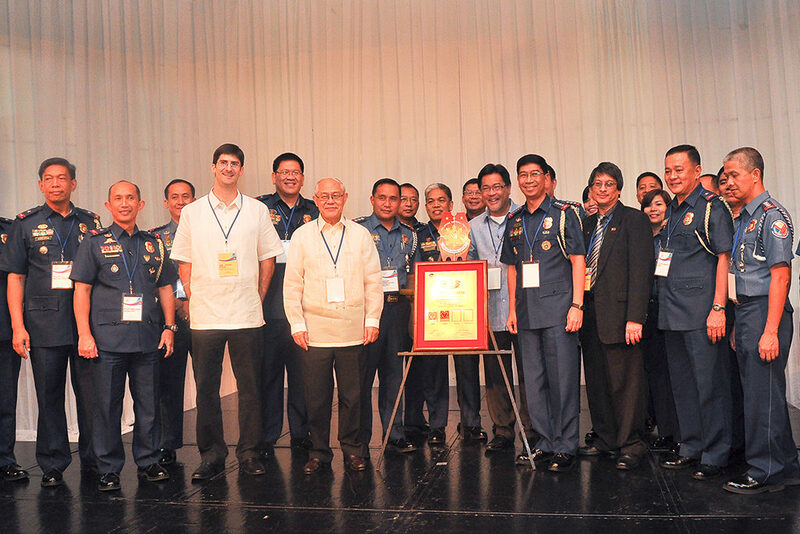 ISA launches its official recognition program, the Islands of Good Governnace (IGG), at the Philippine International Convention Center in Manila. 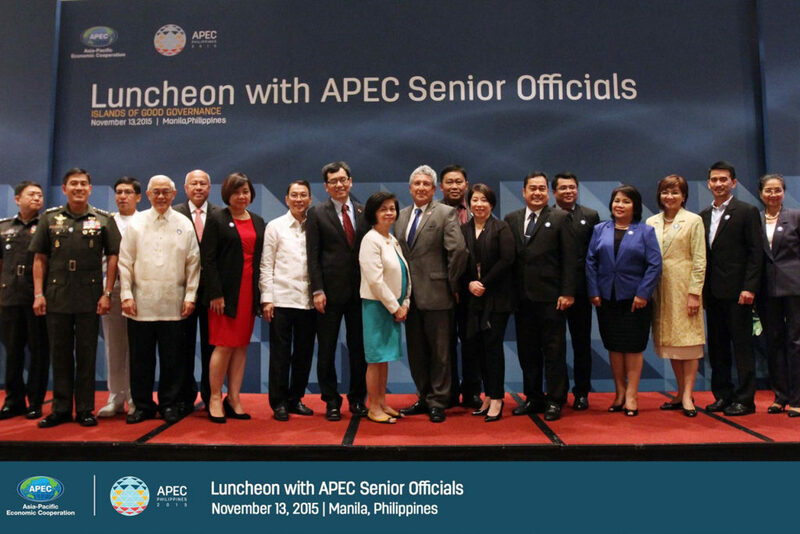 The 12 inaugural public sector awardee institutions are presented as timely case studies of successful governance reform before international government, business, and media leaders in the Philippines-hosted APEC Summit. Another long-time partner, the city government of San Fernando La Union, joins the city governments of San Fernando Pampanga and Iloilo (awarded in 2010) in the exclusive Palladium Balanced Scorecard Hall of Fame for Executing Strategy. 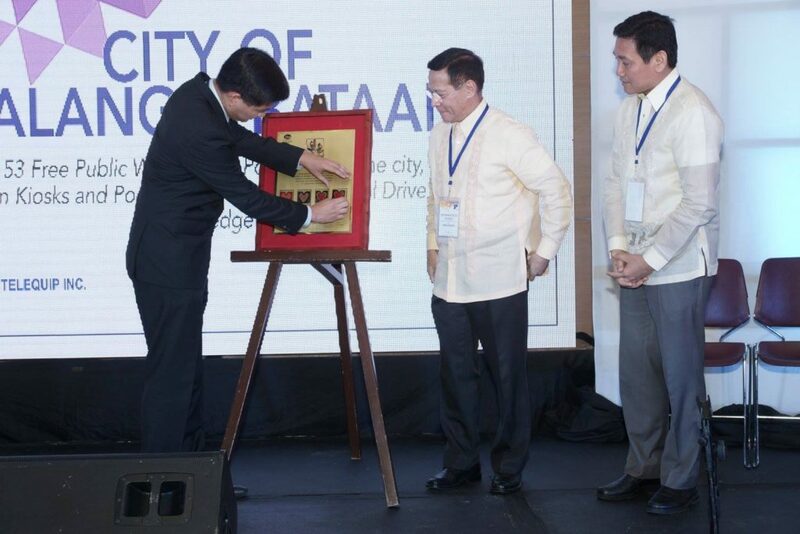 Four of ISA’s long-standing partners, the Accountancy Profession, Armed Forces of the Philippines, city government of Balanga, and the city government of Dipolog, graduated from the governance pathway and were conferred the Institutionalized status. Two partners, the city government of Balanga and the Philippine Navy, are also inducted into the Palladium Balanced Scorecard Hall of Fame for Executing Strategy. 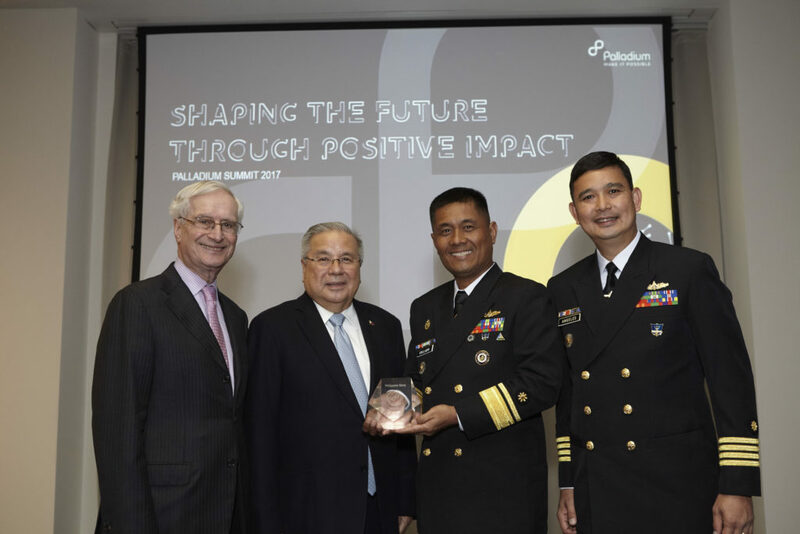 The Philippine Navy is the first national government agency in the country to be recognized by the Palladium Group.